Why should we study history? Well, frankly, history is the study of human nature, and history most definitely repeats itself. History can teach us lessons so that we are forearmed when facing situations, better informed when planning to proceed. The history of the long campaign to establish the Regional Technical College (RTC, now the Galway Mayo Institute of Technology, GMIT ) campus in Mayo contains, I believe, guidance on how the Castlebar based college can be rescued from those who oppose its survival. In 1979, as part of a range of appointments to boards and sub-committees, the Mayo Vocational Education Committee (VEC ) placed 12 men on a Proposed Mayo RTC Steering Sub-Committee. It was an influential grouping as four of the men, Enda Kenny, Seán Calleary, PJ Morley, and Paddy O’Toole, were sitting Mayo TDs at that time. Castlebar Chamber of Commerce, which spearheaded the Mayo RTC campaign with the VEC, carried out its own research that confirmed the number of students from Mayo attending colleges in other areas was sufficient to merit a college in the county. Predictably perhaps, the idea of a Mayo RTC met with immediate hostility from Sligo RTC and Galway RTC, which both had been founded earlier in the decade. The Connacht RTCs feared a potential drain of students and money should the campaign succeed. Hugh Cawley, the chamber’s RTC sub-committee chairman, was adamant however, an independent RTC in Mayo would be pursued. The campaign received a major boost in 1981 when then taoiseach Garret FitzGerald gave his blessing to the provision of an RTC in Mayo. FitzGerald’s party colleague, Enda Kenny, added that the Fine Gael/Labour government would honour its commitment to the RTC. In 1983, the then Fine Gael minister for education, Gemma Hussey, reaffirmed her party’s commitment to the project. During a 1985 local election stop in Mayo, Taoiseach FitzGerald assured the public that after an extensive examination, the need for the RTC had been made and he committed £9 million to the development of the third level institution. The RTC would be delivered before the end of the decade. The campaign had argued all along that the RTC would attract industry, seduced by an educated workforce. Allergan in Westport was proof of the attractiveness of such credentials as it advertised for jobs requiring RTC qualifications, and it was the Industrial Development Authority’s (IDA ) policy that an RTC was a significant bonus in highlighting particular areas for industrial investment. In his role as minister of state at the Department of Education, Enda Kenny announced the acquisition of a site in Castlebar for a full RTC in 1987. As a result of the astounding political movement, leading RTC campaigner Paddy McGuinness later admitted that the campaign had relaxed somewhat under a feeling of achievement. With a change of government in 1987, the new Fianna Fáil government, in which Mayo TD Pádraig Flynn held the environment portfolio, introduced tight financial expenditure and plans for the RTC were shelved. Angered by the drastic change in fortune for the campaign after more than a decade, Independent councillor Paddy McGuinness used the platform of Castlebar Urban District Council’s meeting in January 1990 to call on the public to mobilise and demand a third level educational institution for the county. McGuinness told the meeting that he strongly believed, “the politicians won’t get it for us. It is up to the people of the county to get it for ourselves.” By March of that year, Minister Pádraig Flynn was in a position to inform McGuinness that a 'mini' RTC was to be located in Castlebar. Flynn hoped the RTC Action Group would accept his interim arrangement whereby a number of courses from Sligo or Galway RTCs would be relocated to Mayo. The local Fianna Fáil party also asked for the environment minister's suggestion to be seriously considered, as to look for a full RTC could still take up to 10 years. Four years later, a new taoiseach and a new promise given, this time from Fianna Fáil's Albert Reynolds at a meeting with a deputation from the action group in Castlebar. Reynolds gave his backing to an RTC but fell short of supporting a full, independent, Mayo RTC. The action group was satisfied that the Taoiseach was sincere in his personal support but a Mayo RTC was still not government policy. Further public pressure would be necessary to force the government to concede the Action Group's full demands. That opportunity came when Pádraig Flynn's appointment as Ireland's European Commissioner forced a by-election for his Mayo West Dáil seat in 1994. The action group decided to make the RTC an election issue by running its own candidate. Paddy McGuinness was the obvious choice and was chosen at convention. McGuinness' inclusion into the race was a real worry for the top two contenders, Fianna Fáil's Beverley Cooper Flynn and Fine Gael's Michael Ring. The decision to run a candidate on the RTC ticket motivated the campaign. McGuinness brought the action group's message to local and national media outlets, to front doors and public meetings across the constituency. He took more than 20 per cent of the first preference vote, beating Cooper Flynn in almost every Castlebar ballot box and his transfers ultimately decided the outcome of the election in Michael Ring's favour. Buoyed by the by-election result, the action group reiterated their aim was a fully fledged, autonomous, RTC for Mayo and promised to run in future elections if that was not received. 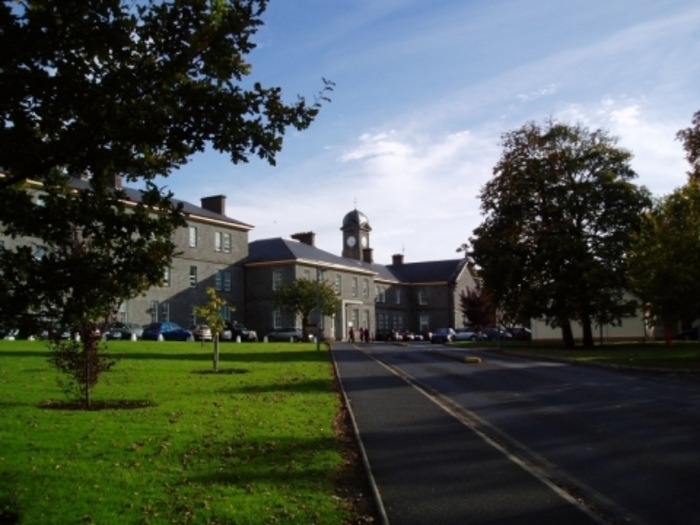 In October 1994, more than 100 students began three national certificate courses in computers, building construction, and business studies at the start of the first academic year at the Galway RTC, Castlebar campus. Civic and business leaders pledged they would continue to push until the facility became an autonomous and independent unit. The next chapter in the history of the GMIT Mayo campus will begin at the ‘Save Castlebar GMIT’ public meeting on Friday March 10 at 7.30pm in the TF Royal Hotel, when Paddy McGuinness will address supporters 40 years after the RTC campaign began.